Amygdala is a part of a complex system that is primarily involved in emotional memory processes. Formed by several nuclei with specific functions this brain region is essential both in memory formation and execution of relevant behavioral responses upon stress or emotional impact. Our aim is to reveal the principles of the synaptic organization in the amygdalar network by using light and electron microscopic techniques and in vitro electrophysiological recordings combined with optical imaging. 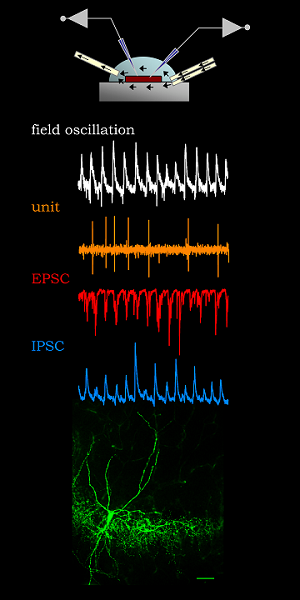 Specifically, we study the properties of synaptic communication between the principal excitatory neurons and local inhibitory cells in the basolateral amygdala. 30 mySQL queries in 0.768 seconds.